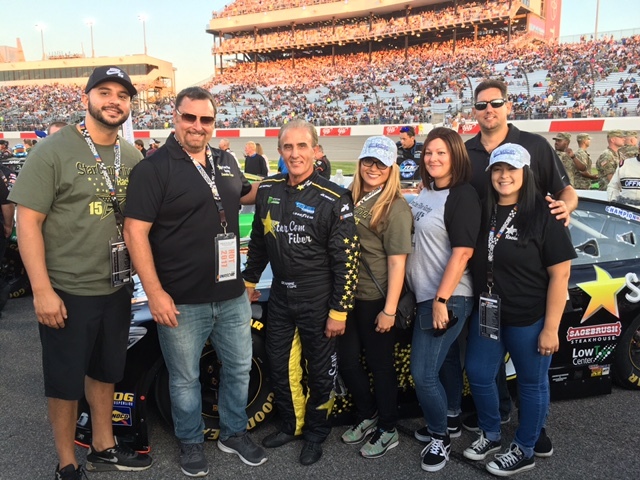 Mooresville, NC (Wednesday, September 6, 2017) – StarCom Fiber and Derrike Cope are back at it to race under the bright lights in Richmond Virginia for the Monster Energy Federated Auto Parts 400 at Richmond Raceway Saturday September 9th at 7:30PM ET. StarCom Fiber continues its partnership with Premium Motorsports at the .75-mile D-Shaped oval for 400 miles of excitement. “StarCom is extremely excited for this weekend as we continue our sponsorship with Derrike Cope. There are no fans like NASCAR fans so we are eager to be on the ground at Richmond Raceway to engage with fans for the second annual Fan Appreciation Weekend at the track,” Ashley-Marie Monica, Director of Client Relations.